My hair journey is laden with plenty of benchmark moments, including a big chop and platinum-blond dye job. But none have been more challenging than waiting for my hair to grow out and in the process avoid over-manipulating my curls to the point of damage. The common misconception with super-short hair — textured or otherwise — is that cutting length somehow makes a day-to-day routine easier. But if the past year has taught me anything, it’s that developing healthy hair habits takes discipline, time and plenty of trial and error. One of the biggest challenges that I and many other naturalistas face is figuring out how the heck to keep those fresh day one curls and coils intact without having to dunk our heads under the sink or shower every day. “I always recommend a taking a hot, steamy shower to add moisture to your curls without getting them wet. It’s always good to use a curl-defining product to enhance the natural pattern,” he says. Product options abound — including this list of our favorites — but Sims’ go-to is the Smooth ’N Shine Curl Defining Mousse. Whether you’re using this or something else, he recommends applying a quarter-size amount — give or take depending on your length — and working from root to tip, scrunching the hair with your hand and not a brush. From there, “you can air-dry naturally or use a diffuser to achieve more voluminous curls.” A diffuser is an attachment for a blow-dryer that helps disperse air more evenly over a large area, thus minimizing the intensity of heat that can disturb and destroy the curl pattern. Regardless of the shape you use (the most common ones are flat), they should be used while the dryer is on a low heat setting and in constant movement. Again, keeping it concentrated in one area for a long time can lead to more frizz and a weak curl pattern. And if you’re doing this at night, stretch out the life of your curls even more by keeping them tucked under a satin bonnet or atop a silk/satin pillowcase to prevent them from fraying. Also, be wary of product buildup over time. In between styling, keep your scalp and strands refreshed with a clarifier like apple cider vinegar or simply stick to a clarifying shampoo on washday. All in all, the combination of a dependable curl definer, steam and diffusion generally gets the job done. 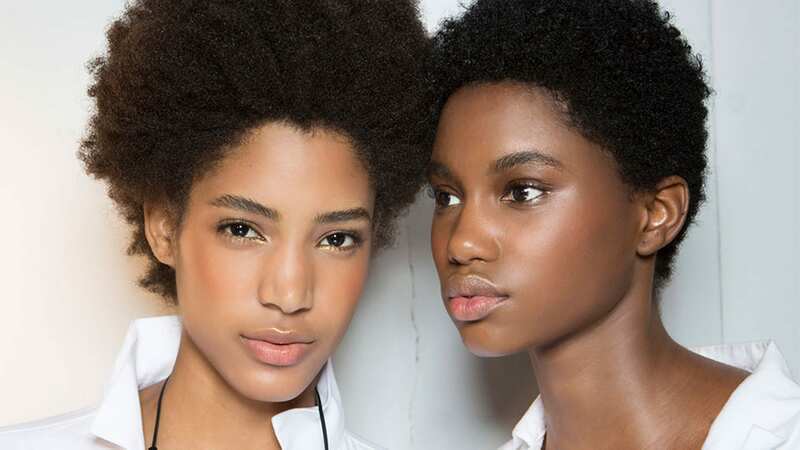 But ultimately, you’ll need a routine that’s as unique as your curl pattern, and that may include observing what others with hair like yours are doing. Ahead are the curl-defining routines of three popular bloggers with varying textures. Take notes and pay attention; you may spot a technique or product worth trying. Here, blogger KandidKinks refreshes her type 4 curls using a combo of cream and oil products. Although blogger LuhhSetty starts this tutorial with wet hair, it still provides a detailed step-by-step for those new to using diffusers. This same technique can be used on dry hair that’s been exposed to steam and a defining product. And if you like using gel, blogger happycurlhappygirl demonstrates a water-free routine using Eco Style and flaxseed oil.